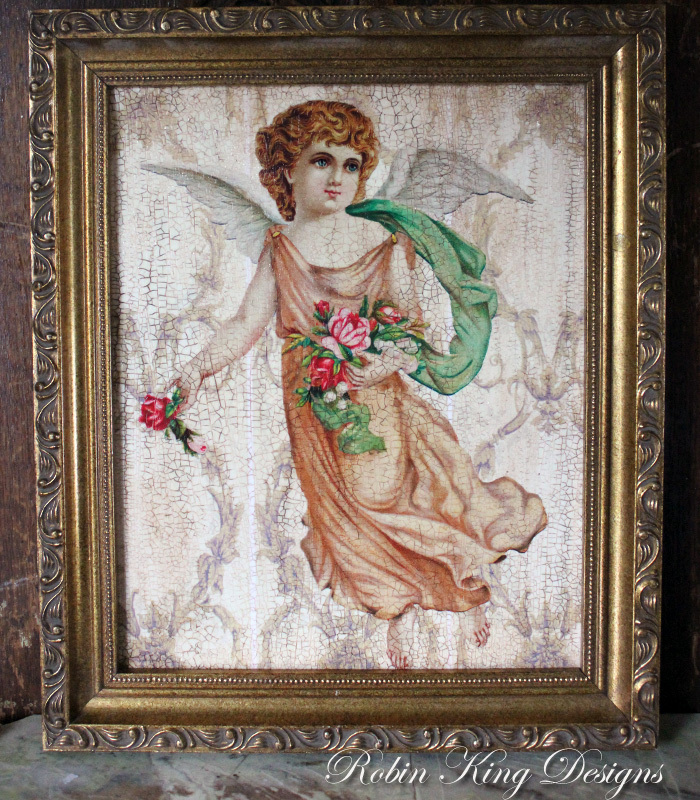 This French Angel 8 by 10 inch canvas looks great with or without a frame. Perfect for so many places in your home. The canvas is sold without a frame and all four sides are antiqued. 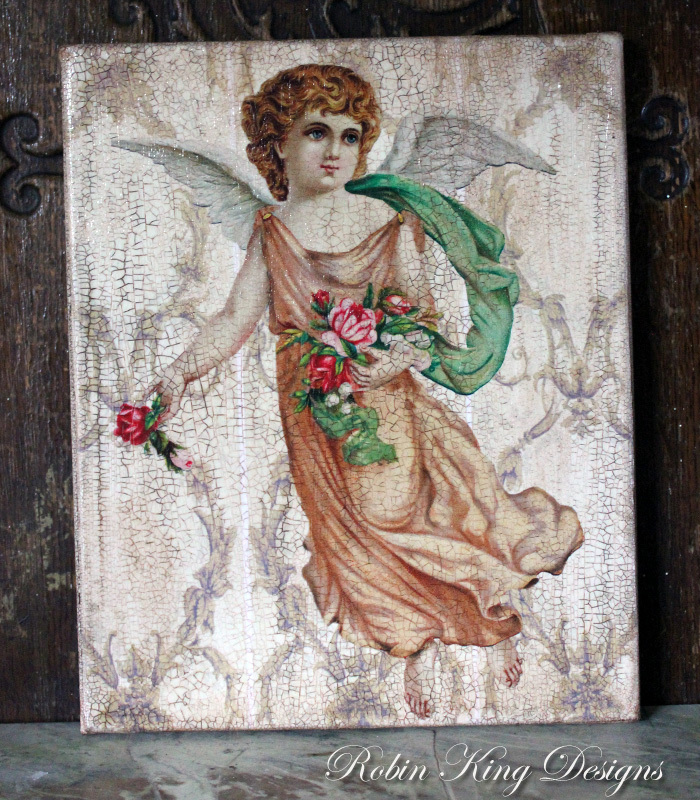 The canvas is handmade in Robin's Colrado Studio and is finished with her signature crackle finish.